TattooCloud supports licensed, professional trained and certified tattoo artists who work in clean, licensed and legal Tattoo studios. This starts with the tattoos. We already can watermark them, post to your social networks AND your websites, and we have the most usable and accurate datase of all these things growing and becoming more valuable to everyone as more tattooers get involved. Directly from the Artists, to you! 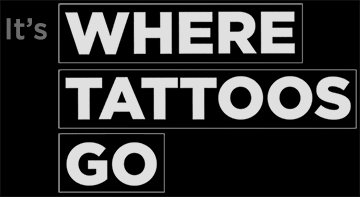 While the artists and studios use TattooCloud to host portfolios, the world gets to view the massive and quickly growing collection of tattoos - Tagged with keywords so we can all search for tattoos like 'roses' OR 'pink', or narrow the results and find tattoos tagged 'roses' AND 'pink' to be more specific. Here the artists connect with new clients and collectors research tattoo ideas and find the right artist for their next grow their business.